Bank of New York Mellon has paid the City $352 million for its longtime Tribeca office building, according to city financial records. Previously, the financial institution had control of 240 Greenwich Street via a 99-year ground lease. Earlier this year it announced it would move into vacant space at the property, also known as 101 Barclay Street, bringing all of its 4,300 Lower Manhattan employees under one roof. A spokeswoman for the bank could not immediately identify the brokers involved in the sale. Bank of New York Mellon announced its plan to move this past summer, saying it would leave its current headquarters at Brookfield’s 225 Liberty Street and make the short move to Greenwich Street. “The move is consistent with the company’s ongoing focus on simplifying its global footprint to enhance its ability to deliver for clients, improve the scalability of its operations, increase efficiency and collaboration, and reduce risk and cost,” a press release stated at the time. In 1980, Barclay Greenwich Holdings signed a 99-year ground lease for the property with the city. 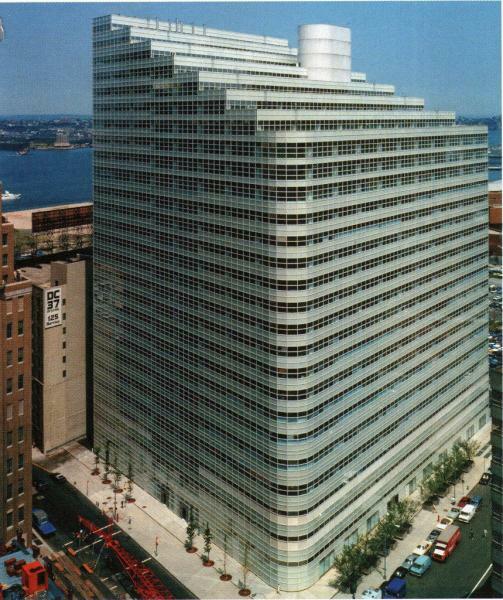 The Irving Trust Company acquired the space in 1982 and seven years later it merged with Bank of New York, which took over the lease in 1990. During the past several decades, control of the lease traded hands between various Bank of New York Mellon subsidiaries, including a 2013 lease assignment to “4101 Austin Boulevard Corporation,” which was owned by the bank. As of June, Bank of New York Mellon controlled more than $35 billion of assets and had 52,000 employees serving 35 countries.